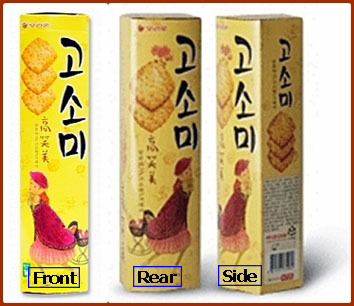 Gosomi is a premium biscuit in which the nutty taste of sesame seeds is exquisitely mixed with sweetness. Sesame seeds and coconut achieve the ultimate nutty taste. 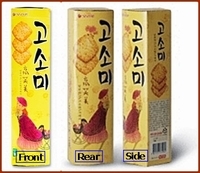 Gosomi comes in a size that is easy to grab and eat for anyone and is made thinner and crunchier. The packaging is rounded for easy-grab and makes it easy for people to enjoy Gosomi anywhere anytime. Smile with Gosomi and enjoy its sweet and nutty taste.